– is the passage of the Neue Kathedrale des erotischen Elends into the field of audible oscillations, including retrogade öder prognostic Scans of Live on distant plants, (re-)presentations of Inspiring Conversions to the Path of Heraclitus before Audiences of Real People and recorded/imagined reflections thereoff. – is the Mother of all SLUICES. – is listed as a band on My Space:http://myspace.com/viltsluis. It’s not a band though, its a SLUICE. !!!!!!! 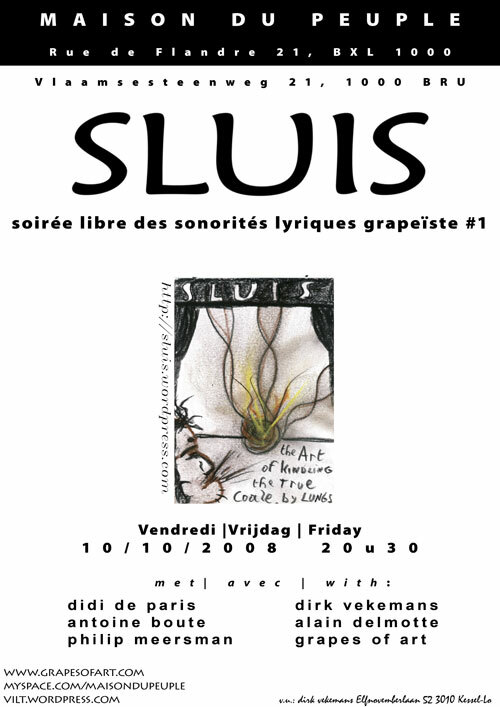 FIRST SLUICE | ECLUSE | SLUIS night!!!!!!!! !